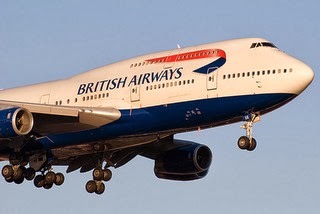 Some years ago, I wrote about a positive experience I'd had as a regular flier on British Airways, and how I suspected it had been part of a well-executed campaign. You can read the post here: British Airways just made my day. More recently, I met a lady who'd worked in British Airways's marketing department around that time, and so I asked her about it. Her response slightly surprised me: "How did you know about that? We didn't really promote that campaign." In marketing, it is easy to get so caught up in what we tell customers about our company / product / service, that we forget that what matters so much more is what they actually experience. The holy grail, of course, is for the two to align completely: for the marketing message to help existing customers to better describe the experience they had, and to help new customers look forward to the experience they will have. And we all know what happens when the marketing message promises more than the experience delivers: disappointment and mistrust. British Airways delivered me an experience that made me feel even better about being a regular customer. That they did it without fanfare probably made the experience feel even better.